Alright, Internet. Prepare to meet the freakier side of my sketch art. 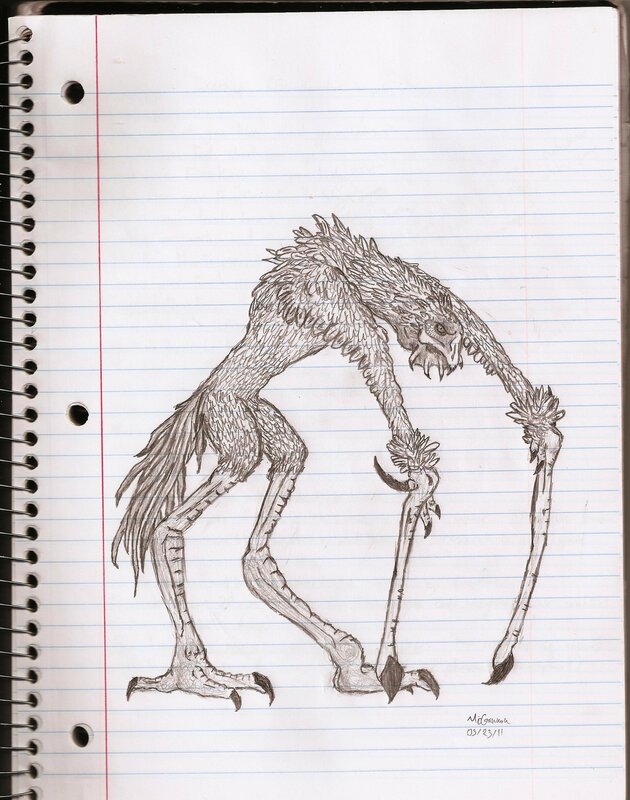 This drawing did not originally have a name–or a purpose, really–but for the sake of blogging, let’s call him Freaky Bird Monster. Pretty self explanatory. I sketch random monsters often enough, most of them not that remarkable. But this one came out clear and had an interesting effect, so I thought I’d share. I imagine it being a jerky, loping predator–like those long legged rabbit things from The Dark Crystal–but with the ability to glide short distances. And perhaps a venom cavity for spitting. Not the type of creature you’d want to get close to in the wild.